← Guest blog: It’s raining – why have we still got a drought? Nick Skytland, Programme Manager for NASA Open Government Initiative, has opened the European lead event at the Met Office. An initiative of the Open Government Partnership, the International Space Apps Challenge will showcase the impact that people working together around the world can have on addressing challenges, both on earth and in space. 60 developers, including Met Office employees, will now have the next two days to create, build, and invent new solutions in order to address challenges of global importance. Working together in small teams they will be using Open Government data resulting from space technology. Teams at the event will also be using our recently launched DataPoint web service. On Sunday, the teams will present their projects to a panel of judges. Judges at the Met Office are Charles Ewen, Head of Web at the Met Office, Sarah Weller, Marketing Manager at Mubaloo, Dr Nicolas Outram, Associate Professor, School of Computing and Mathematics at Plymouth University and Becky Maynard Head of International Fundraising and Communications for ShelterBox. Each location will then put forward two projects to determine the global winners. 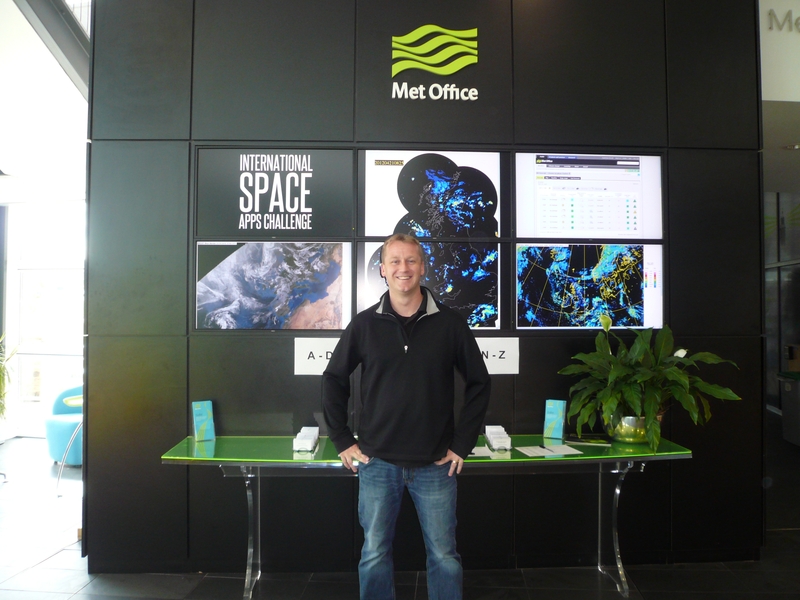 This entry was posted in Met Office News and tagged DataPoint, MetOffice, NASA, Open Data, Open Government Partnership, Open Source, Plymouth University, ShelterBox. Bookmark the permalink.